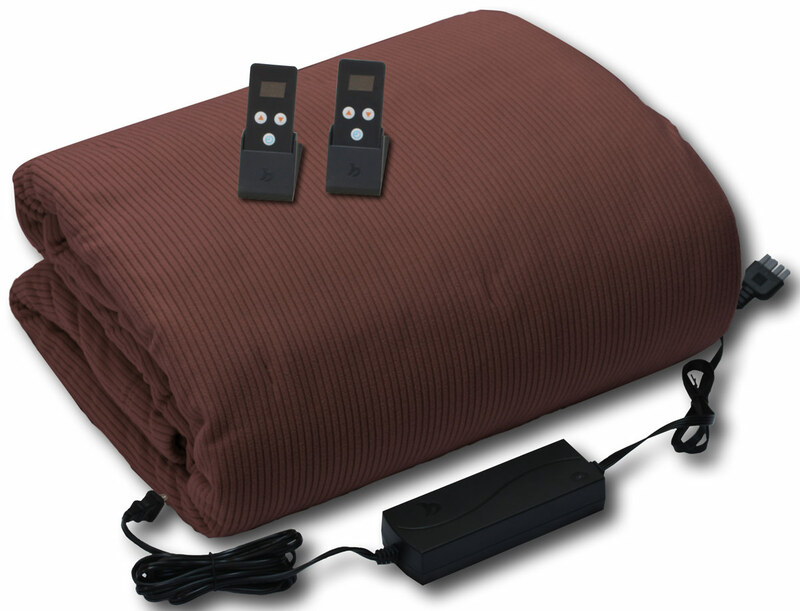 The BioSmart electric infrared blanket is made of soft premium ribbed polar fleece. 18 Volt DC technology eliminates the risk of electromagnetic radiation. The blanket features wireless remote controls with ten comfort settings and patented BioSmart thermal-sensing technology for optimum comfort. Thermal dynamics of the blanket create penetrating far-infrared heat waves. * Free shipping available only in the contiguous United States. Blankets shipped to Canada are charged half of the actual shipping cost. Any duties and taxes are the responsibility of the buyer. 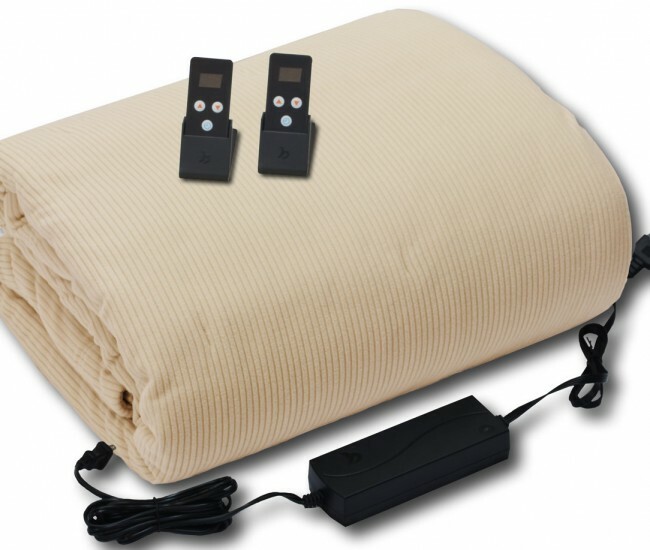 The BioSmart electric infrared blanket was developed with patented technology to overcome the misgivings and hazards associated with conventional electric blankets and mattress pads. See our video to learn more. 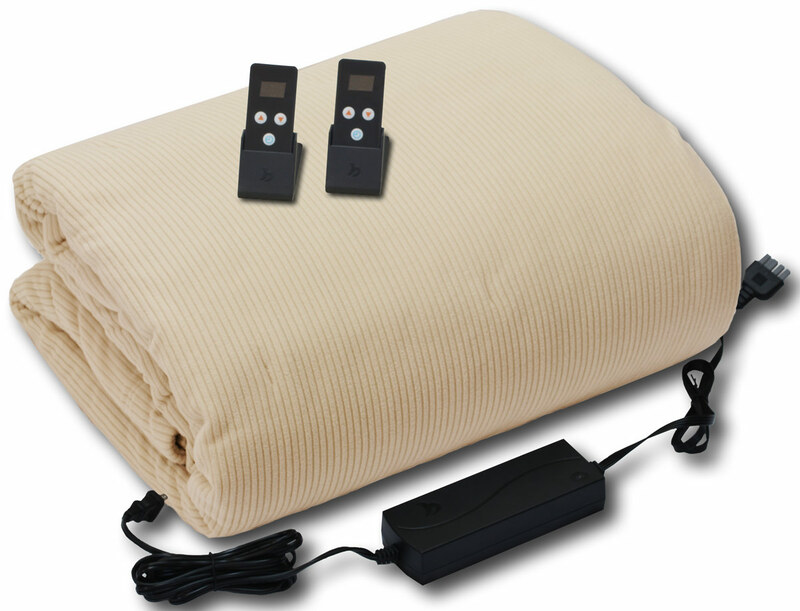 Unlike conventional electric blankets, the BioSmart infrared blanket is designed to generate internal body heat to compensate and supplement the body’s own production of far infrared energy. By monitoring your body temperature, the blanket adjusts it’s temperature to keep you warm without becoming uncomfortably hot. 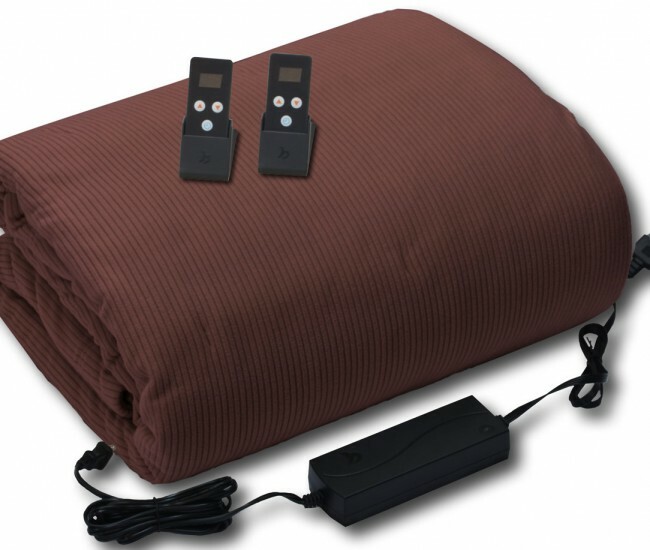 The BioSmart electric infrared blanket was designed to be luxurious and comfortable. Many electric blankets feel more like a wire fence with a sheet wrapped around it that then proceeds to bake you. The BioSmart electric infrared blanket is not one of these. Instead, it has virtually undetectable wiring and monitors and adapts to your body heat. Add the premium polar fleece outer layer and this becomes one cozy blanket! 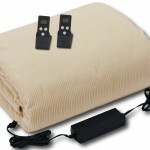 The BioSmart electric infrared blanket uses low voltage DC current that is much safer than regular 120 volt AC blankets. Because of the design and temperature monitoring, the blanket also can’t build up dangerous heat pockets. In addition to being convenient, the remote control removes the danger of tripping over or becoming entangled in controller wires at night. The remote has 10 temperature levels, an LCD display, and a timer for automatic shut-off. Cozy polar fleece outer layer for comfort and heat retention. Certified premium textile quality. Soft and luxurious, with elegant styling. Nine (9) patented proprietary layers to insure even far-infrared distribution and retention of specific far-infrared waves to maximize its therapeutic advantages. Unique Infrared wave pattern. Patented pulsed controller utilizes advanced technology to produce far-infrared waves that can be readily absorbed by the body. 10 temperature levels for perfect comfort control. 98-118 degrees Fahrenheit (36-44 degrees Celsius). Timer function for automatic shut-off in 1-12 hours. Ultra-low energy consumption – minimum 20 watts, maximum 75 watts. Average 35 watts due to pulsed controller’s ability to maximize conversion of electrical energy into far-infrared waves. Dual controls: each side of the blanket (king & queen) can be controlled separately and set to different temperatures. Conforms to UL classification “Non-hazardous Low Voltage”. Safe low voltage DC current (18 Volt DC). No electromagnetic radiation (no 60 Hz). Cannot obtain an electrical shock from the blanket. No hot spots or overheating. No excess build-up of heat during the night. The patented DC pulsed controller regulates and maintains the temperature setting by monitoring both body and blanket temperatures and adjusting the heat to maintain the desired setting. Power cord unplugs from blanket allowing you to hand wash or machine wash in a front-loading washer. Wash with cool or warm water on gentle/delicate cycle. The agitator in a normal washer can damage the internal wiring inside the blanket, therefore it is important to use a washer like a front-loading washer, that does not have an agitator. Tumble dry on delicate cycle with a cooler setting, or air dry. Extra long power supply cable suitable for difficult access to wall outlet. BioSmart Technologies, Inc. gives you the following limited 5 year warranty for its infrared blankets only if it was originally purchased for residential use, not for resale, from and authorized BioSmart Website or an authorized BioSmart Dealer. BioSmart Technologies will repair or replace, free of charge, to the original purchaser, any part that is found defective in material or workmanship within the 5 year limited time period based on the date of purchase and the specific product model number. Unless otherwise agreed to by pre-arrangement with your dealer, should a blanket fail for any reason, it may be returned postage pre-paid to our service center during the warranty period along with proof of purchase from an authorized BioSmart Dealer. BioSmart with replace or repair the blanket at its discretion and return the blanket postage paid to the customer. This limited warranty does not cover the replacement of expendable or consumable parts such as batteries or damage caused by neglectful acts. Note: Only high-quality Alkaline Batteries should be used and replaced on a yearly basis or sooner if warranted to prevent damage to the remote. This limited warranty does not apply to any part subjected to abuse, alteration, misuse, or damage caused by an act of God or the use of voltages other than those noted in the owner’s manual for this product. BioSmart Technologies does not authorize any person or representative to assume or grant any other warranty obligation on the part of BioSmart Technologies. BioSmart’s limited warranty is valid only if you retain proof of purchase for this product from an authorized dealer of BioSmart Technologies. If you purchased this product from any other source, your purchase is “as is”, which means that BioSmart grants you no warranty. You must assume the entire risk of quality and performance of the product, including the entire cost of any repairs or servicing of defective parts. BIOSMARTS LIABILITY FOR DAMAGES TO YOU FOR ANY COSTS WHATSOEVER ARISING OUT OF THIS STATEMENT OF LIMITED WARRANTY SHALL BE LIMITED TO THE AMOUNT PAID FOR THIS PRODUCT AT THE TIME OF THE ORIGINAL PURCHASE, AND BIOSMART SHALL NOT BE LIABLE FOR ANY DIRECT, INDIRECT, SPECIAL. PUNITIVE, CONSEQUENTIAL, OR INCIDENTAL DAMAGES ARISING OUT OF THE USE OR INABILITY TO USE THIS PRODUCT. ALL EXPRESS AND IMPLIED WARRANTIES OTHER THAN THE LIMITED WARRANTY SET FORTH ABOVE, FOR THIS PRODUCT, INCLUDING IMPLIED WARRANTIES OF MERCHANTABILITY AND FITNESS FOR A PARTICULAR PURPOSE ARE EXPRESSLY DENIED. This warranty gives you specific legal rights which vary from state to state. ANY DISPUTE, CONTROVERSY, OR CLAIM RELATED TO THIS PRODUCT SHALL BE RESOLVED BY FINAL AND BINDING ARBITRATION WITH A NATIONAL ARBITRATION AND MEDIATION HEARING OFFICER IN SEATTLE, WASHINGTON. CUSTOMER WAIVES THE RIGHT TO PARTICIPATE IN A CLASS ACTION. THIS WARRANTY DOES NOT ALLOW FOR CLASS ARBITRATION EVEN IF THE NATIONAL ARBITRATION AND MEDIATION PROCEDURES OR RULES WOULD ALLOW. CUSTOMER AGREES THAT HE OR SHE MAY BRING CLAIMS AGAINST BIOSMART TECHNOLOGIES IN AN INDIVIDUAL CAPACITY ONLY AND NOT AS A PLAINTIFF OR CLASS MEMBER IN ANY PUTATIVE CLASS OR REPRESENTATIVE PROCEEDING.